January 17, 2014 | James P. Yudes, Esq. Prophetically, Karen Willitts in her blog on January 3, 2014 entitled “Grandparent Visitation in New Jersey”, discussed the state of our law as it relates to the rights of grandparents to seek visitation with their grandchildren pursuant to New Jersey statute, N.J.S.A. 9:2-7.1. In her well- researched blog, Karen pointed out that for New Jersey’s grandparent visitation statute to be Constitutional it must satisfy the constitutional preconditions for court interference with the fundamental rights of parents to raise their children without judicial interference. The precondition to state interference was discussed in the United States Supreme Court decision of Troxel v. Granville, 530 U.S. 57 (2000). In her blog, Karen outlined the cases that have dealt with the delicate balancing act that is required when litigating a grandparent visitation matter. The cases clearly recognize that the grandparents have the burden of proof in these matters and that the these litigations between parents and grandparents are not contests between equals. Moriarty v. Bradt, 177 N.J. 84 (2003). On January 13, 2014 our Appellate Division in the matter of R.K and A.K. v. D.L Jr., reviewed the procedural evolution of grandparent visitation cases in New Jersey including the cases of Daniels v. Daniels, 381 N.J. Super. 286 (App.Div. 2005), Rente v. Rente, 390 N.J. Super. 487 (App. Div. 2007) , and Moriarty v. Bradt, 177 N.J. 84 (2003), and established practical rules for the litigation of these matters. The procedural problem in litigating grandparent cases is that they are litigated in the Family Division as non-dissolution matters. Under administrative directives, such non-matrimonial matters are to be commenced with the filing of a “form” complaint, and they are presumptively disposed of by the courts in a summary manner without discovery. In the R.K. v. D.L. matter, the grandparents’ lawyers were aware that they had the burden of proof, so instead of filing a form complaint the grandparents’ lawyer filed a specific complaint setting forth the elements that needed to be proven in a contested grandparent litigation. That complaint was rejected by the Family Division clerk, forcing the grandparents’ lawyer to file a form complaint with the specific allegations attached to the printed form. During case management, the trial court dismissed the grandparents’ case because they had no expert report. 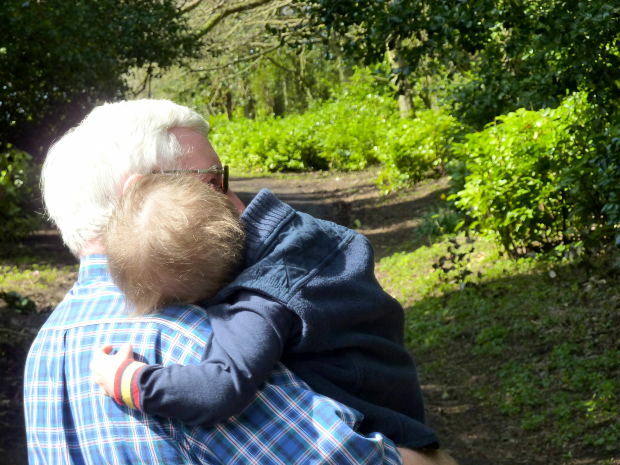 The court found that without an expert, the grandparents could not prove that a failure to allow them contact with their grandchild would have a deleterious affect on the child. The trial court found that without expert proof that the grandparents could not sustain their burden of proof to establish a prima facie case that required the court to conduct a trial. The trial court further found that as a non-dissolution matter, the case would proceed to trial without requiring the exchange of discovery and, as such, the grandparents’ complaint seeking visitation with their grandchildren was ripe for dismissal. The Appellate Division reversed the trial court’s decision, indicating that while expert testimony may be needed in individual cases to demonstrate that a lack of contact with grandparents would have a deleterious effect on a child, such an allegation might also be proven in an appropriate matter without the need for an expert. Further, the appellate court instructed that lawyers should be permitted to file well-drafted professional complaints in non-dissolution matters rather than being forced to file a form pleading which simply avers that custody is in issue. In so instructing, the Appellate Division also recognized that grandparent visitation cases are complicated matters that should not be dismissed summarily without affording the plaintiffs discovery and the ability to prove the accusations of their complaint, noting that such accusations must aver not only issues of contact between grandparent and grandchild, but that harm will befall the grandchild if contact with the grandparent(s) is not allowed. The Appellate Division further found that one could not rely on the dicta in Moriarty that the loss of the love of grandparents would be harmful to the child and that grandparents must assert a specific harm related to the specific history of the matter. As noted by the Appellate Division, these matters involving grandparent visitation are complex and fact sensitive. Therefore, if you have any questions about grandparent visitation the lawyers at the law firm of James P. Yudes, A Professional Corporation would be happy to answer them.